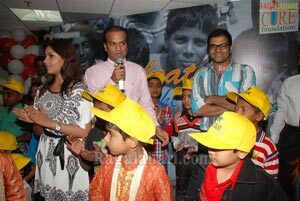 Apollo Cancer Hospital & CURE Foundation hosted a colourful Children’s Day at Apollo Cancer Hospital, Hyderabad, today. 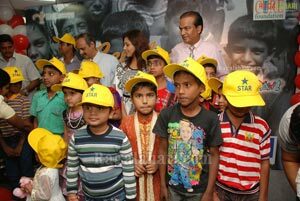 Child Cancer Survivors – ‘The Real Stars’ who courageously combated cancer and lead a normal life, celebrated this Children’s Day with ‘Reel Stars’ – Actress Madhu Shalini and Indian Idol Sreeram Chandra. 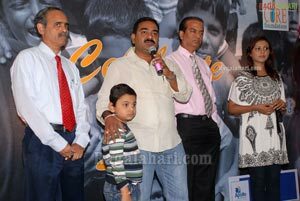 Child Cancer Survivors sang and danced in gay abundance matching step for step of Madhu Shalini, to the tunes belted out by Sreeram Chandra. 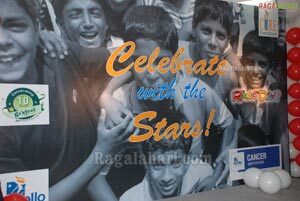 These tiny stars, who went through an ordeal of lifetime, sent a strong message that cancer can be conquered and life is normal thereafter. 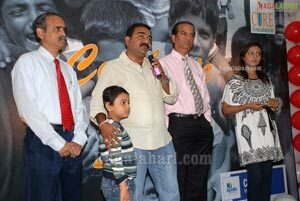 Both Madhu Shalini and Sreeram Chandra felicitated the survivors on the occasion. Speaking on the occasion Dr. P. Vijay Anand Reddy, Director, Apollo Cancer Hospital said, the dreadful disease like Cancer doesn’t even spare Children. 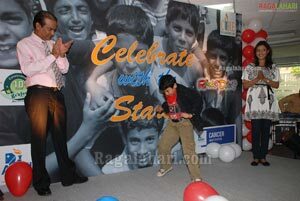 In India, around 45,000 new cases of Childhood Cancers are diagnosed every year. Childhood cancers constitute 4.5% of all Cancers in India (70 per 10,00,000 population). 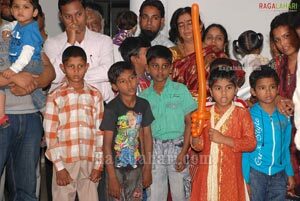 Dr. Reddy added that Children cope with Cancer treatment better than adults and recover much faster than adults. Most Cancers in Childhood are curable, in fact 80% of all childhood Cancers are curable and in contrast only 65% of adult cancers are curable, he pointed out. 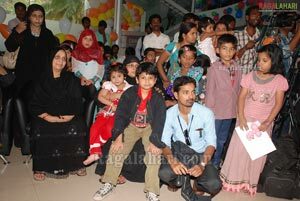 Child Cancer Survivors and their parents interacted and shared their experiences with the parents of Child Cancer patients. A parent whose child is undergoing treatment said, it sounded like a death knell when our son was pronounced as cancer afflicted, no amount of counselling from the doctors about he being cured gave us complete confidence. Look at these survivors, they are like normal kids, now I am convinced of my child being completely cured and going back to his academics, thank Apollo Cancer Hospital for creating this opportunity, he added. Dr. S.V.S.S. Prasad, Sr. Consultant Medical Oncologist, briefed the gathering about the Symptoms of Childhood Cancers and when to approach the doctors. Dr. G. Srinivas Chakravarthy, Sr. Consultant Medical Oncologist, spoke on Advances in the treatment of Childhood Cancers.